Nothing can mend the types of hurt that medical malpractice causes--the death of a family member, the serious injuries, paralysis, loss of enjoyment of life. We know that, and we know that the main reason our clients come to us is that they want to make the malpractice stop. If you're on a mission to prevent what happened to your family from happening to someone else, then we're your kind of lawyers. For over 25 years, John Polewski and his team have been working against medical malpractice—handling hundreds of cases in Texas and Arkansas. We have handled just about every kind of medical malpractice case imaginable, including cases involving Wrongful Death, paralysis, amputation, brain damage and other serious injuries. There is no substitute for experience-- and nobody will treat you and your family with more respect and compassion. We can prove it: see what our clients say about us in video reviews here, or in written reviews here, or on the independent lawyer review site AVVO here. Arkansas Medical Malpractice Clients Please Click HERE to visit our Arkansas Medical Malpractice Website. Polewski and Associates proudly serves clients throughout Arkansas and Texas. Your doctors won’t tell you they committed medical malpractice. They’ll say that a death or terrible injury was “a complication”, or that “they did all that they could do”. They will make ridiculous claims about how their mistakes were "normal" or "acceptable". They’ll avoid you, or they won’t look you in the eye. Many of our clients have the feeling that all the doctors and nurses at the hospital know what really happened—but nobody is telling them. That’s just plain wrong. You deserve the truth, and our medical malpractice legal team at Polewski and Associates will help you find it. If we find medical malpractice, we’ll work to get you the compensation you deserve. Doctors have rules they are trained to follow. By now modern medicine knows exactly how a gall bladder should be removed safely, or how meningitis should be treated, or what cancer looks like on an MRI. Surgeons are trained how to perform surgery without cutting the wrong organ, and gynecologists are trained how to perform a hysterectomy safely. Doctors know how to recognize and treat infections. Laboratory results clearly indicate when a patient has a liver or kidney problem, and doctors are trained how to respond when they see abnormal results. These are examples of clear safety rules developed over decades, all intended to prevent unnecessary injury to patients. But all the medical advances and all the amazing technology is worthless if your doctors don’t pay attention or don’t follow the rules. That is what medical malpractice is. Your Case is About Fairness-- and Making Things Better. Every doctor, and every nurse, has medical malpractice insurance to compensate people injured by medical malpractice. If you or your family has suffered due to a negligent doctor, nurse or hospital, that insurance is there for you. It's only fair that the doctor's malpractice insurance company compensates you for the damages you suffered due to malpractice. And if you don't stand up and insist that things change, other people will get hurt. Letting bad doctors “have a pass” when they break safety rules puts other people at risk. Your medical malpractice suit could save a life, and keep another family from suffering what you suffered. But only if you stand up and say “Enough. This can’t happen again”. If you don't take action so that a jury in your community can make the doctor start doing his job right, other people will suffer. Enforcing safety rules--about safe driving, safe food, safe buildings and safe medicine--is one of the main things that juries in this country do. But only if you blow the whistle on negligent doctors in your community. The time to act is now. Tomorrow may be the day that it is too late to sue, or a crucial piece of evidence is lost forever. There is no reason to wait: we charge you nothing unless we obtain a settlement for you. Your consultation with us is free. Take care of yourself and your family first. Get a second opinion. If you think your surgeon hurt you by medical malpractice, get another surgeon involved in your case right away. If you are getting terrible nursing care, get out of that hospital and into a better one. Insist on talking to the hospital administration. People that insist on getting better care get it. Take pictures, take notes, get people’s names. Medical malpractice cases often succeed or fail based on small details. Insist on explanations of what happened. You have the right to know—and after you leave the hospital important information may be lost forever, particularly if the hospital is trying to cover up what happened. Call us right away. Don’t wait: your consultation with us is free, and the sooner we get started, the better. We have seen too many cases of medical malpractice where the client waited too long, or evidence was lost. The time to get started is right now. Every case is different, just as every patient is different. Compensation will vary and depend on the details of your case. The law says that a “Wrongful Death” has occurred when someone dies because of the negligence of someone else. Some of the saddest cases we have handled involve the needless death of husbands and wives, sons and daughters—lives cut short in their prime, and for no reason except that a doctor or nurse wasn’t paying attention. Cases like the baby killed when the obstetrician waited too long to deliver him. Or the father killed with an overdose of morphine. Or the son who died when a surgeon mistakenly cut all the blood supply to his liver. Or the mother who died because her doctor missed obvious cervical cancer. These are tragedies that devastated the lives of their families. And all because a doctor wasn’t paying attention, or because simple safety rules weren’t followed. Nothing can ever replace the loss of a beloved family member. But your medical malpractice suit can replace the lost income and pay the medical bills. It can ensure that children go to college, that there is food on the table and that the mortgage gets paid. And it might very well prevent what happened to your family from happening again. That is a legacy worth fighting for. And we’re proud to fight with you. No doctor is an expert on everything. When a patient has a problem that his doctor doesn’t treat—like cancer, or an infection, or a kidney problem—the doctor is required to send the patient to a doctor who is an expert in the treatment that the patient needs. It’s a simple matter of safety: doctors are required to get their patients the help they need to avoid unnecessary injury. It is medical malpractice for a doctor not to refer a patient when the doctor knows that another doctor can treat the patient better and more safely. Anesthesia is one of the great benefits of modern medicine. But it is also very dangerous if it is done wrong. When anesthesiologists don’t pay proper attention, people get badly hurt, and they die. At Polewski & Associates, our Dallas malpractice attorneys have had clients who suffered severe brain damage because an anesthesiologist who did not notice a change in the patient’s breathing. 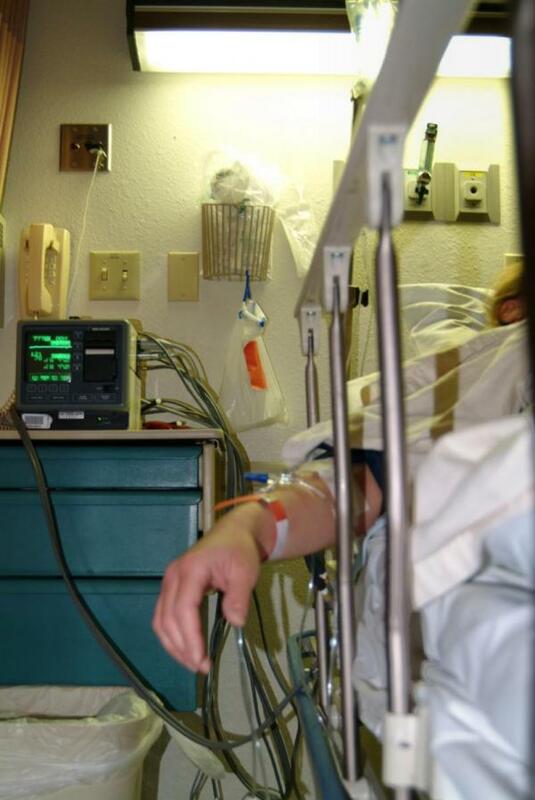 We have handled cases where a patient died or became partially paralyzed because his doctors gave too much anesthetic. Some of our clients sustained nerve injuries because the anesthesiologist left an arm or a leg in a dangerous position during a surgery. Other clients were left in a lifetime of pain because an anesthesiologist injected the wrong drug, or injected a drug into the wrong place. All of these malpractice cases had one thing in common: the anesthesiologist was not paying proper attention. Anesthesia medical malpractice cases are particularly complicated. The biology and chemistry involved in anesthesia are often at the cutting edge of science. Anesthesiologists use machinery, records, and terminology that even other doctors do not fully understand. These cases absolutely require a medical malpractice lawyer who understands this area of medicine and has handled anesthesia malpractice cases before. Please, if you don’t call Polewski & Associates with your anesthesia malpractice case, make sure that the attorney you choose has handled anesthesia medical malpractice cases before and knows what he is doing. Emergency rooms can be magical places where lives are saved and tragedies averted. Modern medicine and technology can work miracles—but only if the doctors and nurses in the emergency room use the equipment and medicines that are available. And only if the doctors and nurses are paying attention. When they don’t, the result is tragedy. Like our client who was sent home while he was having a heart attack and died in the hospital parking lot. Or the father of four who was discharged in unimaginable pain while being eaten alive by the “flesh eating bacteria”. Or the young man who became totally and permanently paralyzed over a period of sixteen hours because the emergency room doctors thought he was “faking”. In all of these cases—and many others that we have handled—the emergency room doctors and nurses simply didn’t take our clients seriously. The client came to the right place to get help that would save their lives, but the doctors and nurses in the emergency room dropped the ball. Nurses are the only healthcare professionals who are supposed to always be there and always understand what is going on. They are the ones who provide care to the patient and information to the doctors about what is going on. If nurses don’t do their jobs—because they don’t know their jobs or because they just can’t be bothered to do the jobs right—patients get hurt, and can die. Like the little boy who died because he was the wrong medicine by a nurse. Or the grandfather who kept pushing the call button but nobody came until after he was long dead. Or the man who became permanently paralyzed because a nurse wrote down his emergency symptoms, but didn’t tell anybody until it was too late. This is nursing medical malpractice. It comes in many forms, but has just one cause: a failure to pay attention and follow basic safety rules. Dental malpractice is a serious and growing problem across the country. At Polewski & Associates, the #1 type of dental malpractice case we are seeing today involves dentists designing and placing implant and denture systems when they don’t know what they are doing. Some of these dentists have had just one weekend course in these complicated and expensive procedures, and then claim to be “experts” at it. We even had a case where the dentist had no training at all beyond watching a videotape. The results are disastrous. Our clients have had to have multiple additional surgeries at a cost of tens of thousands or dollars (or more) to fix the damage. And every one of our dental malpractice clients has had to suffer with years of pain, disability and embarrassment.